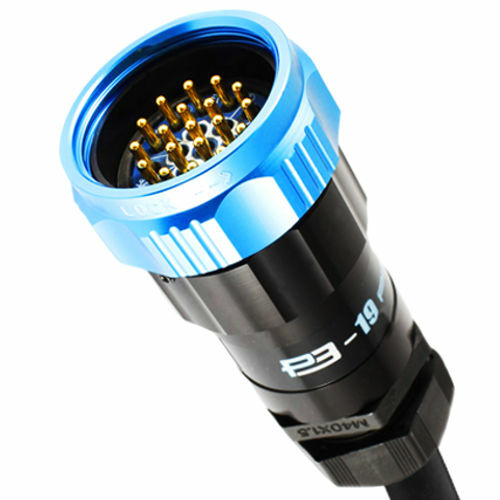 NOTICE: Phase 3 Connectors Ltd have re-branded the 19 Pin Connectors P3-P19 range to Showsafe. 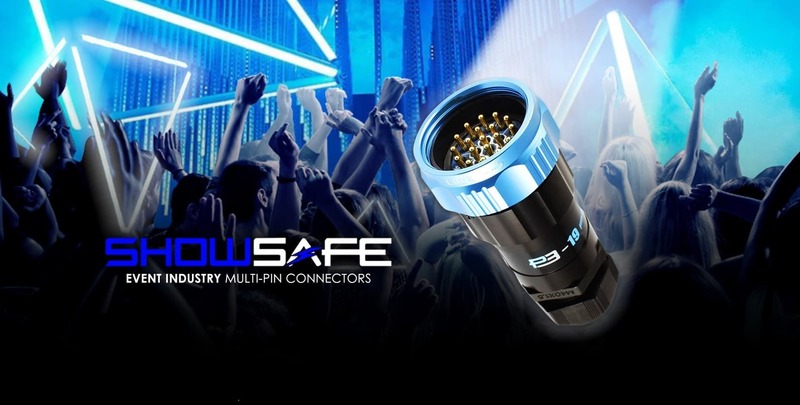 Showsafe Connectors are sealed to IP67 when mated, making them water and dust proof for festivals worldwide. The sand of Benicassim? The mud and rain of Glastonbury? No problem. The socapex type connectors are tough for touring. 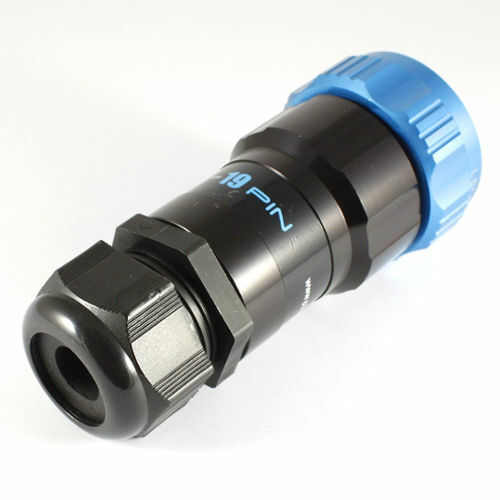 The connectors are available in both inline and panel mount versions in male or female form. Excellent connections are ensured with a muti-point gold plated contact in either solder or crimp. The Showsafe connector has a Spider Clamp that offers cable strain relief combined with watertight sealing (IP67) when using six individual cables in breakout applications. The design incorporates Phase 3’s “Spider Trap” mechanical grip mechanism that individually grips each cable jacket. The trap can be quickly and easily orientated to facilitate different cable diameters. A separate silicone sealing grommet ensures a watertight assembly. For maximum impact and wear resistance, heavy duty coupling rings have thick wall sections and are machined from high grade alloys with an anodised finish. 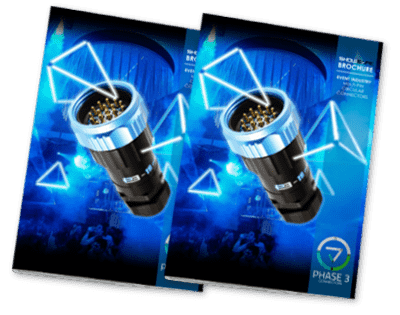 The ergonomic grip on the stage lighting connector allows for easy mating in all conditions, various colours are available on request. Backshells are supplied with left-hand threads, which when torqued correctly during assembly will remain secure. For added security the shells also include a grub screw which can be tightened to lock the shell. Inserts are marked with the industry standard six circuit wiring, identifying Earth, Neutral and Live pin positions. This Socapex Multicore mains cables is high quality cable that is compatible with 19 pin connectors up to 300/500V. The cable has 18 cores with a flexible black PVC sheath. The power cable when in use with the electrical plug has ‘First Mate, Last Break’ earth contacts. Multicore Socapex cable is widely used in the connection of lighting technology and dimmer racks in events of all types around the world. This range is suitable for use in dry and damp environment. With its PVC sheathing, it is also designed to withstand moderate mechanical stress and UV exposure when used outdoors. How do you assemble a 19 Pin Connector? Multi-pin connectors can carry six individual circuits at mains voltage with no common neutral or earth connections. Unlike other connectors all circuits are independent, so can be on different equipment or phases, see the socapex wiring diagram here. 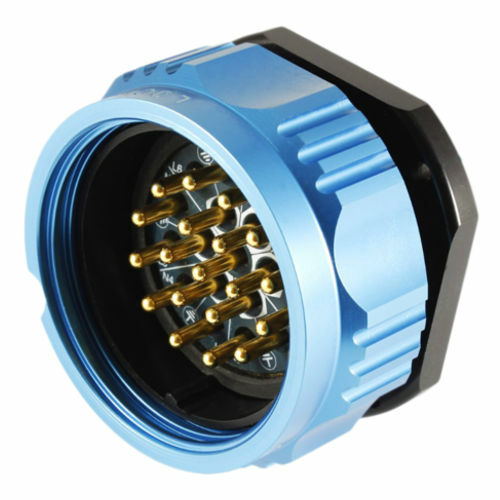 All circular connectors are available in inline female, inline male, male panel mount and female panel mount form. A 19 pin splitter unit is also available in the stage production industry.